Photo diary of nature and landscape, mainly, in the Snowdonia, Anglesey and Lleyn Peninsular regions of North Wales. Themes have been split into sub blogs, just click on site photo. 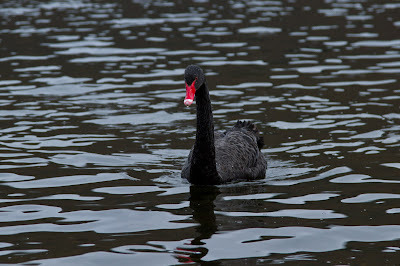 This bird, The Australian Black Swan, was seen swimming in Llyn Padarn (Lake Padarn) on tuesday 20/12/2011. A strange visitor, I am thinking it's probably an escapee rather than a migrating bird. After a while in the blogging wasteland this site is now active again. It will take on a slightly different form where there will be pictorial walks, landscapes and recordings of natural life seen on these walks. 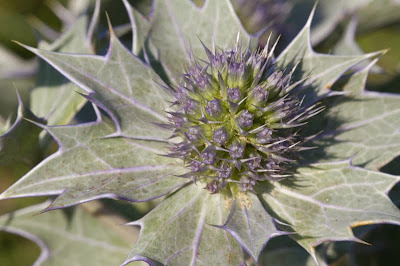 Here's a flower from the Sea Holly plant which can be found around the North Wales coast. Check out the Butterfly Blog for recent sightings. Bird blog, Flower blog, butterfly blog, All updated click the links. Area of low pressure sits off the west of the UK, rain and winds, thats Wales. Took a walk around a few of the bird nesting sites there's hatching and activity, see the Bird link. Not many butterflies about, they stay down in the rain. Photo below shows view of the Llanberis Pass from Clegir, a sun burst lights up the hillock, the rain moves in behind. Was getting shots of the bog plants and went into an old quarry cave to escape the rain. Well, was amazed by what I saw, see the Flower link and the Butterfly link. 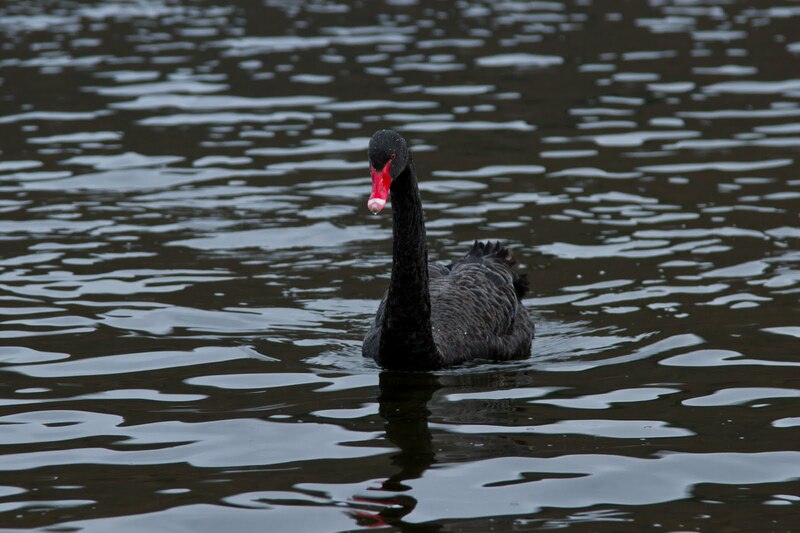 Hi letting you know that there is a new link OTHER PHOTOS, it's got scenes from my wanderings etc. Also Look at Jim Pattersons Blog, in blogs I follow, in personal profile, go into his personal profile and click on his web page. Got to be some of the best underwater photos on the planet. Hi, been bog walking with hound, found a bit more stuff, check out the flower link. You may only sink up to your ankles, then again? Bog life! Take the plunge. BOG LIFE, THE STUFF OF LIFE. Hi, there's this tree, a silver birch, that lays dead on the bank of Lake Padarn. Many years ago it supplied me with logs, bringing warmth in a cold winter. Over the years it has rotted, the bark becoming brittle and broken, the core becoming soft. In the sun the silver sheen still glistens, a beacon. The tree may have died but now it gives life. Moss now spreads over the trunk and plants grow in the crevases. Today one of the dead trees many residents lay out on the bark, on the sun terrace, to soak up the rays. Notice the flattened body, more area to absorb energy. There's usually plenty to eat on the many dining areas provided by the birch. The birch not only provides safety, shelter and sun lounging areas. The decaying stumps also provide material for fungi to feed on. Here a bracket fungus has taken hold. Different fungi reveal themselves on the birch at different times of the year. Here the remains of a birch polypore from last year. Then the birch provides for another fungi, a mushroom that bursts out in the winter, January to be precise. About four 'bunches' appear, at first very small, then growing larger over the weeks. Smaller mushrooms follow, growing larger, the tree provides. Just like the logs many years ago the tree provides for me, yes, provides for me. Like a conveyor belt, take the larger ones, leave the small ones come through. Two meals a week for six weeks. Hi letting you know that a new site has been added for amphibians and reptiles, just click the link photo. Below is a little bit of the US (in name) here in North wales. It's an old slate quarry hole named California by the quarrymen in times past. A view for Kenna. There really are bits of the US here in North Wales. The slate from these quarries was shipped to the US and stone was used as ballast for the return journey. This in turn was used to build houses etc.